At Park4Less we are dedicated to offer you the best service possible. We will pick you up and drop you off at your destination no matter what the day or time. We offer everything your car needs. 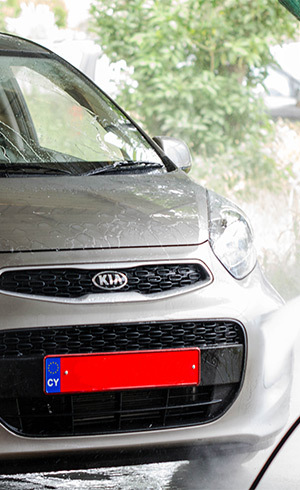 We have a team of dedicated professionals that will take care everything from a car wash to full valet service. Our list of services includes car wash, car polish, car service, tire change and more. If you need anything thats not listed on the website don't hesitate to ask chances are we can offer it to you. Park4Less strives to provide the best possible service at the lowest possible price. If you find anywhere a cheaper price or better service give as call at (357) 97777716 and we will try our very best to match it. If you have any complain or concern please let us know, that's how we improve and get better. Our goal is to have all our customers leave 100% satisfied and with a smile on their face.